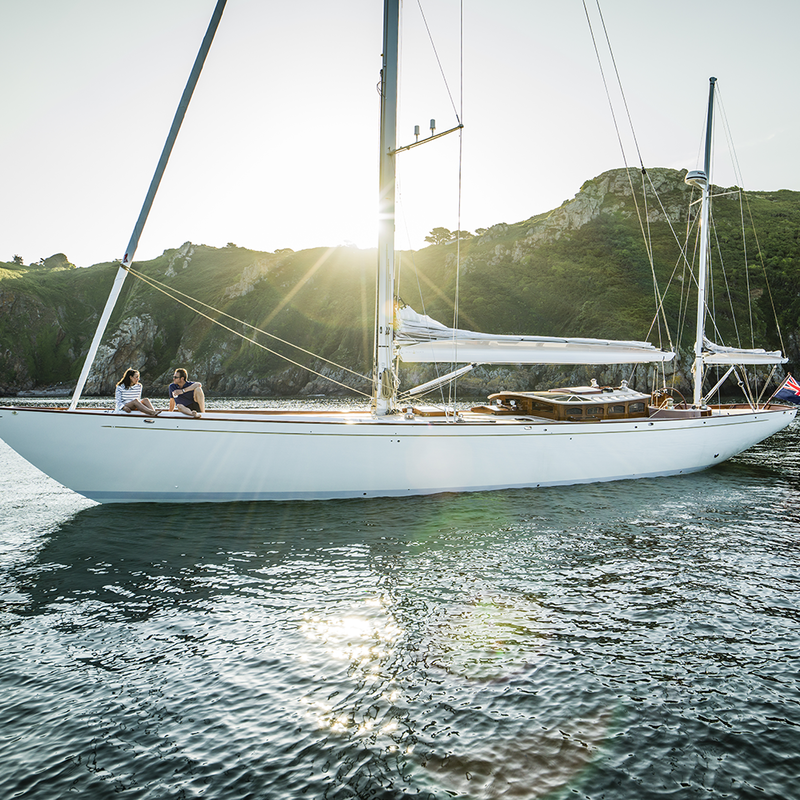 On a warm, sunny day in picturesque Guernsey earlier this year, Helen Porter caught up with Peter, the owner of the newly launched Spirit DH63, to find out more about his Spirit Yachts journey so far. I have known about Spirit Yachts for a long time, ever since they moved to New Cut East. Before buying a Spirit, I owned an Oyster and often saw Spirits out sailing and thought how beautiful they looked on the water. I knew I wanted to have as big a boat as possible for an owner/driver to handle without needing any full-time crew. My two primary criteria for Spirit were ‘pretty and practical’ and they have delivered on both. One benefit of the DH63 is the deckhouse, as it provides shelter in any climate, and offers leeward views from the helm under sail. I always knew I wanted a deckhouse, so Sean designed the elegant coachroof that dips and curves to suit the lines of the boat. What makes Gwenhyfar so special? From the crew to the hidden extras, the whole boat is very personal. The little touches make all the difference, such as the stereo system and drinks cabinet under the armrest in the saloon or the hand-built tobacco leather deck chairs.